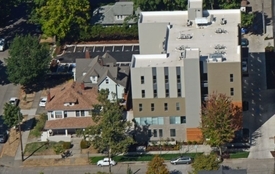 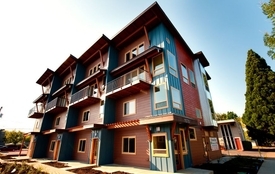 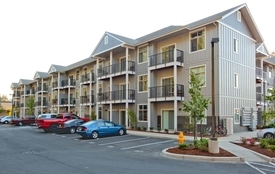 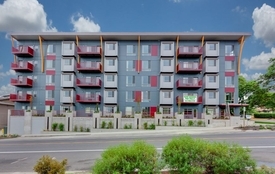 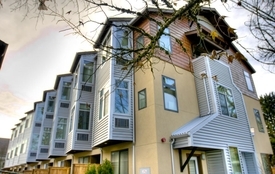 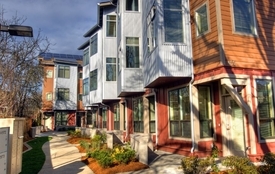 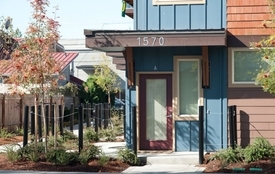 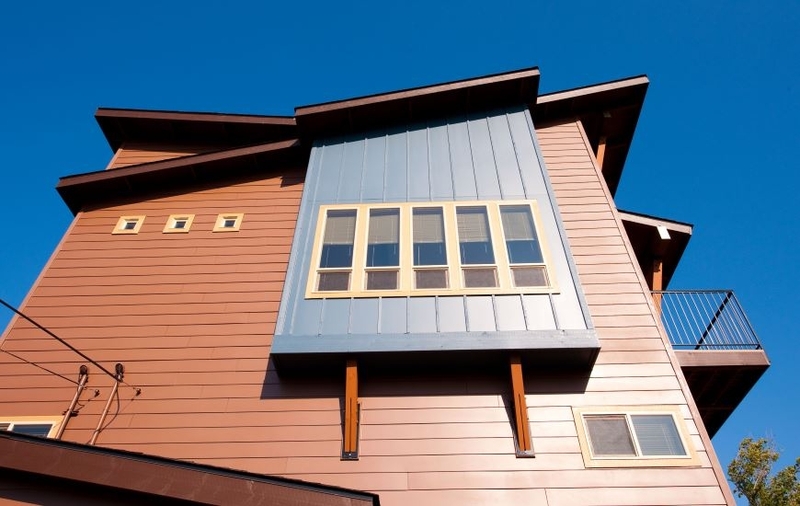 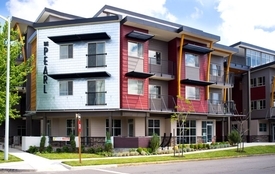 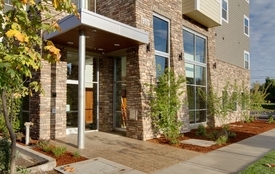 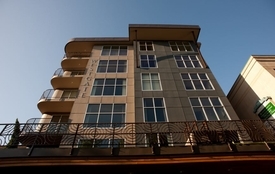 Kokanee Place was designed as four distinct luxury townhouses with vertical separations, with the ability to place the living spaces above the adjacent roof tops to take advantage of the view of Spencer’s Butte and the south hills. 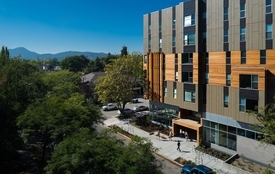 Due to the tall nature of the building and the need to reduce solar heat gain, a stepped configuration along with deep overhangs was implemented. 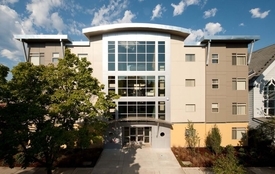 The building was designed for students who want to live near the University of Oregon. 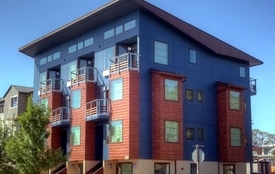 The project was built to Earth Advantage standards. 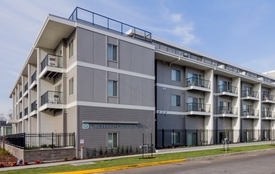 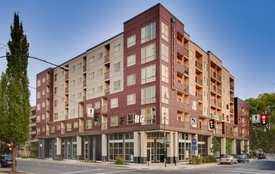 Features include granite countertops, full laundry facilities, stainless steel appliances, high ceilings, and multiple decks for each unit. 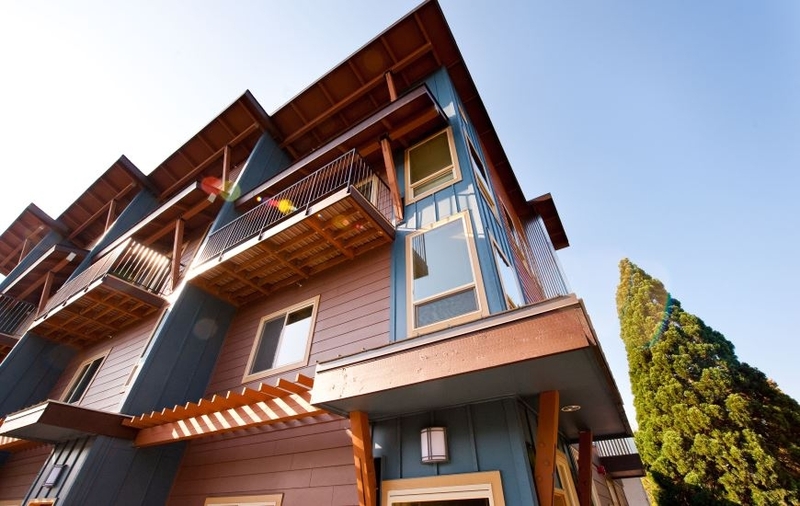 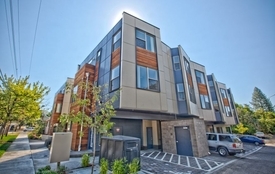 The townhomes are three stories high, with 4 bedrooms and 2½ baths.